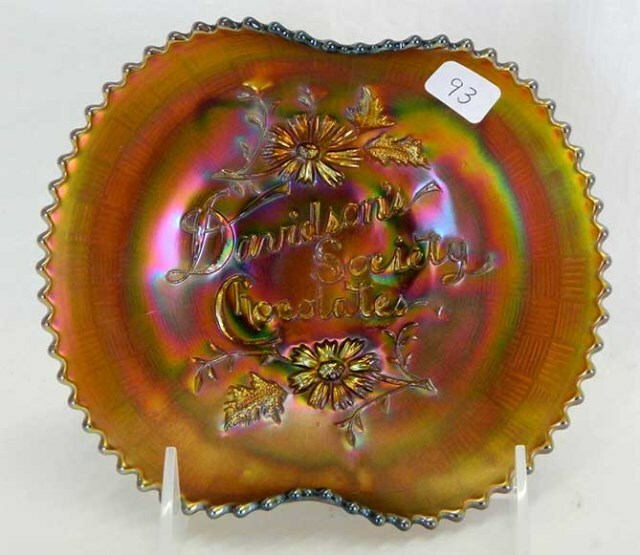 Found only in plates with either one or two sides pulled up. 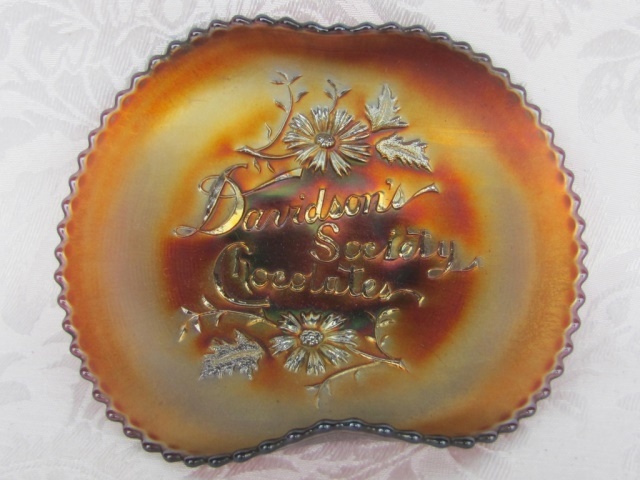 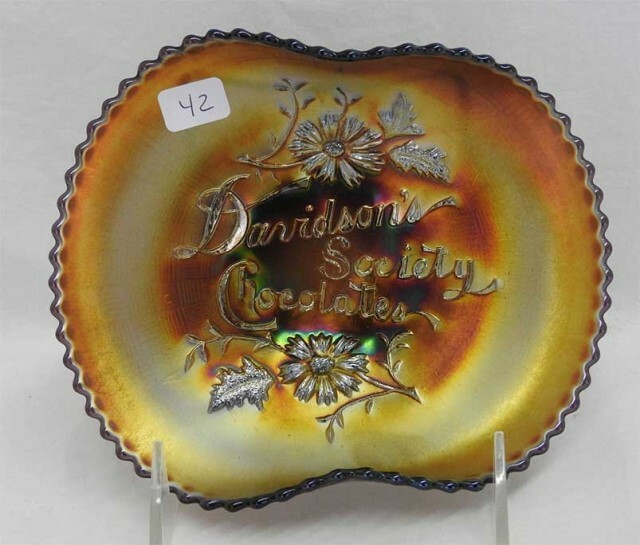 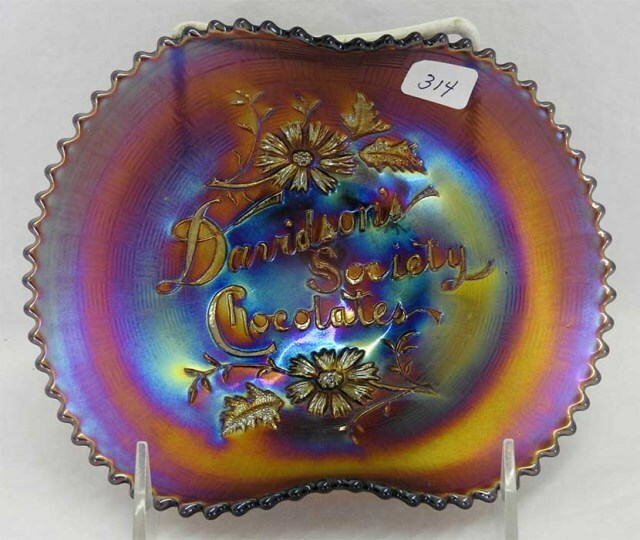 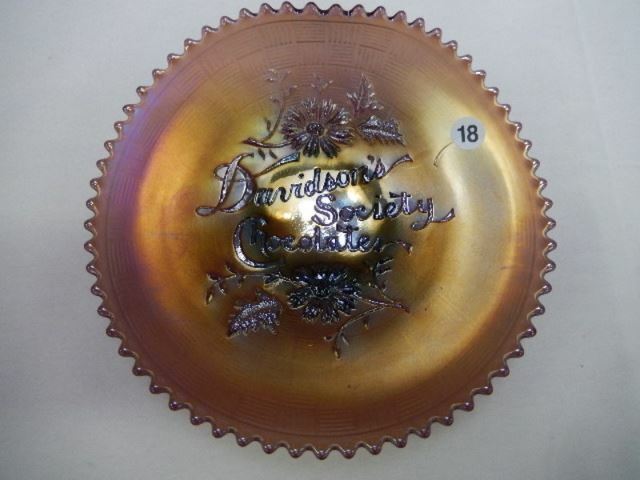 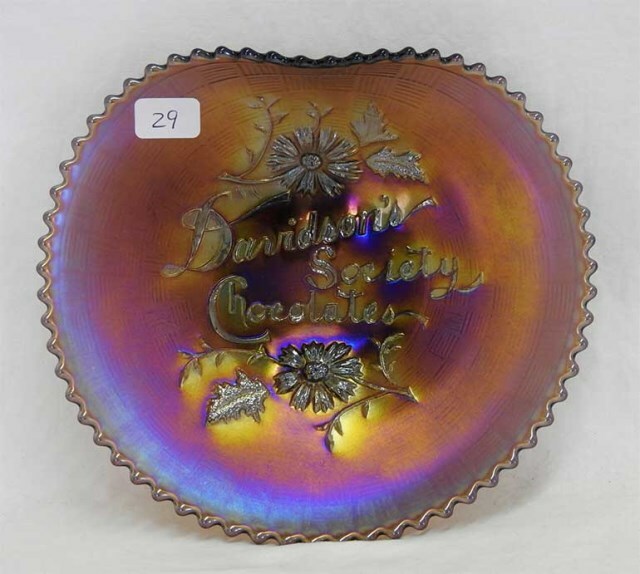 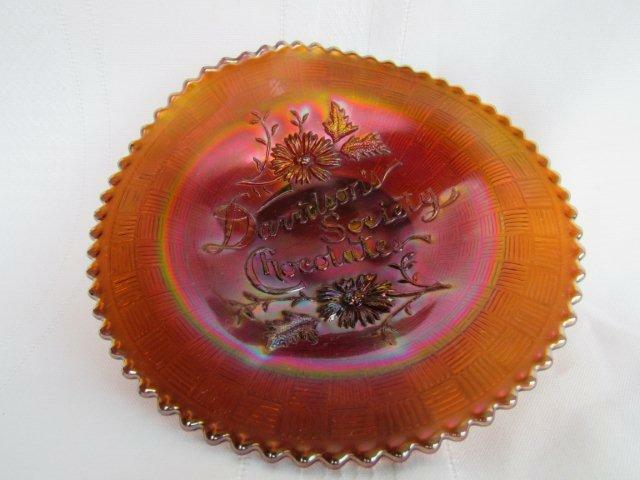 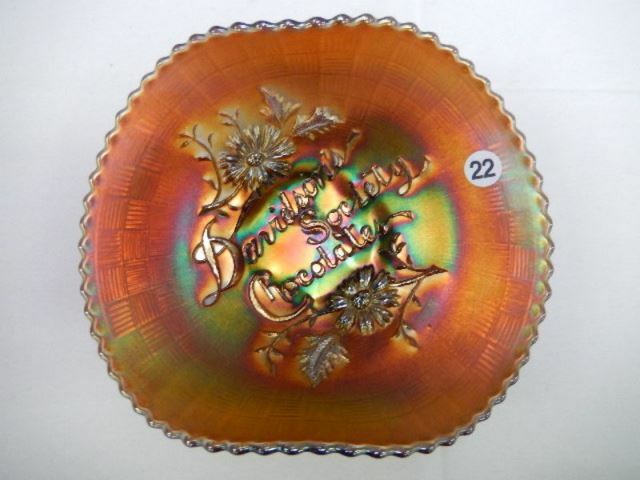 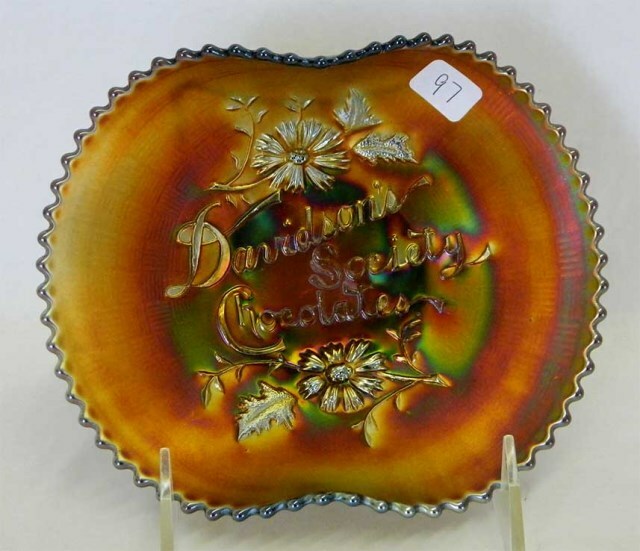 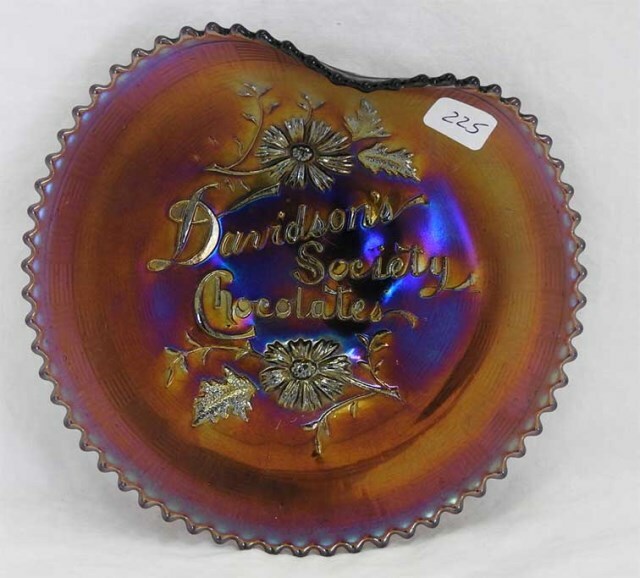 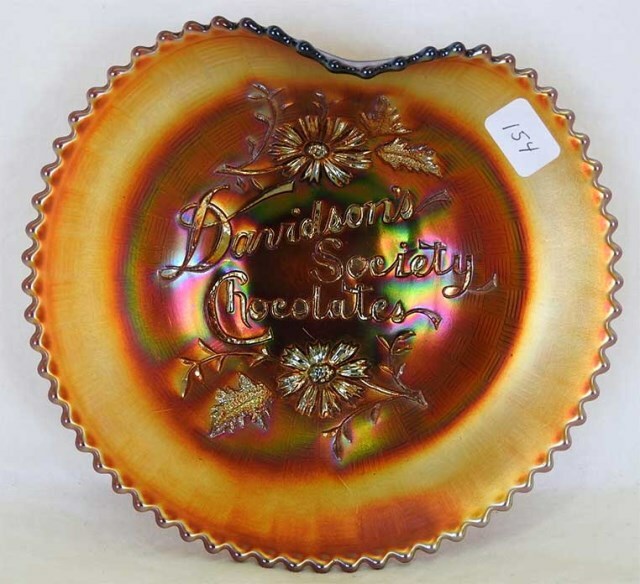 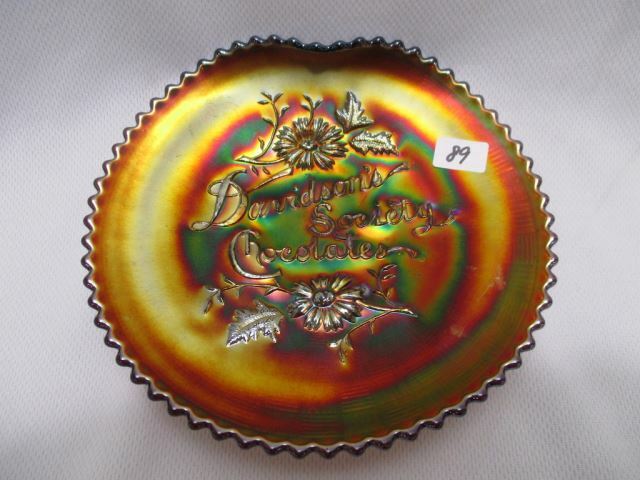 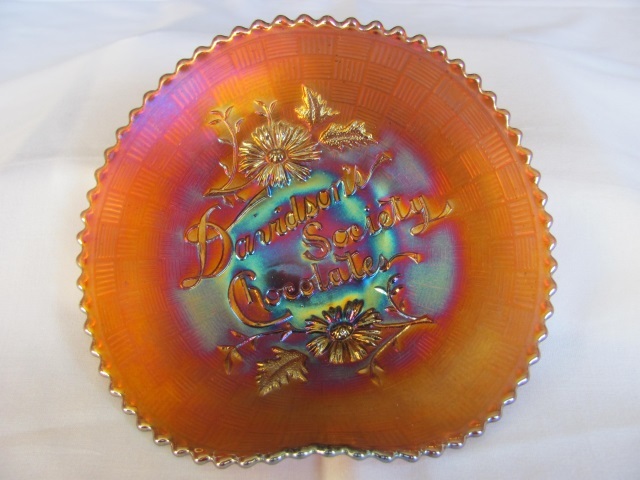 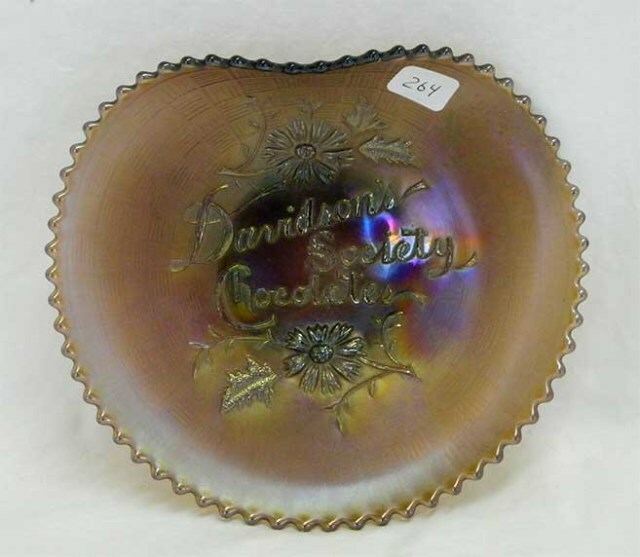 The script lettering reads “Davidson's Society Chocolates.” The Davidson Brothers Company of Des Moines (with locations across Iowa) were the creators of Society Chocolates (as well as Dollar Dainties) and were distributed by the Stacy Bros. Fruit Co. 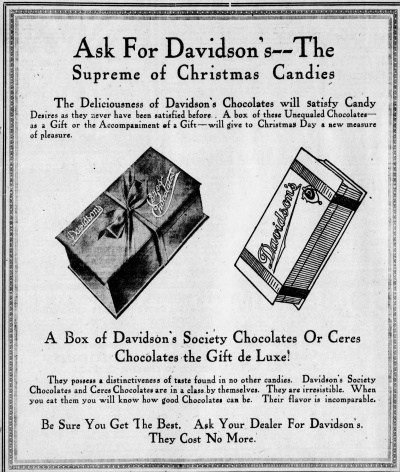 This wonderful ad for Davidson's (“The Supreme of Christmas Candies”) in the Des Moines Register on Sunday, December 13, 1914 even shows the stylized script logo for Davidson's on a candy box. 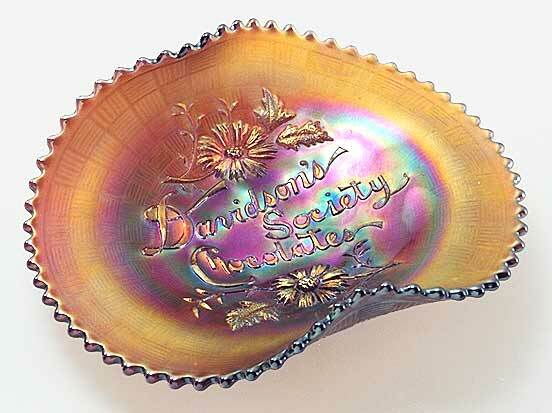 So, mystery solved.